Made as an experimental game during the course experimental gameplay. The world is suffering from light pollution. 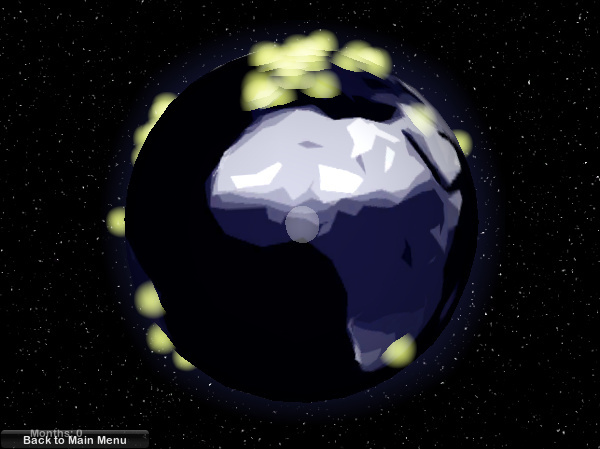 As the player you have focus your attention on where you want to reduce light pollution by rotating the earth. Be alert! As you focus on one city others increase their pollution.